Our mission is to bring your vision to life by creating one-of-a-kind events that you and your guests will remember for a lifetime. Our team has over 25 years of experience collaborating with clients to produce amazing social, corporate and non-profit events and experiences In an ever changing, fast-paced world, success is determined by good choices for lasting effects. Communication is essential. Eventful, llc strives to be the best choice of clients by helping to ease their event planning burden. 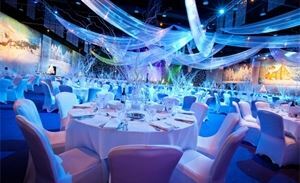 We understand the importance of budget conscious events. We speak your language. And we always deliver on our promises. So that you can deliver on yours. Keeping in tune with the needs of the market, utilizing the latest technology and trends, all while ensuring the client receives the individual attention they deserve, is the vision and daily mission of Eventful, llc; The Event Planning Specialists.